This recipe is easily doubled or tripled depending on how many mouths you are feeding. If you don't have any left over mash you can buy it in the supermarket for about £1 so it's still budget friendly! 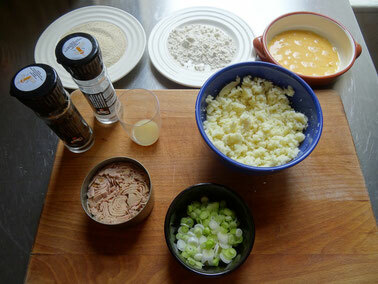 Try adding a small tin of sweetcorn in place of the spring onions or using tinned salmon instead of tuna! 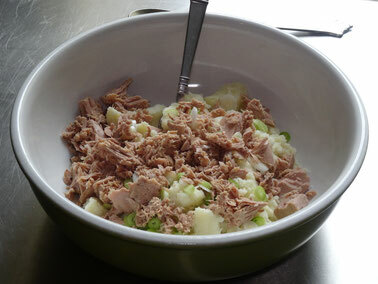 Place the tuna, potato, spring onions, lemon juice & seasoning into a bowl & mix well. 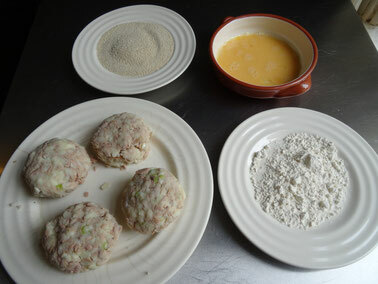 Divide the mixture into 4 & roll each piece into a ball then flatten out a little to make a cakey shape. 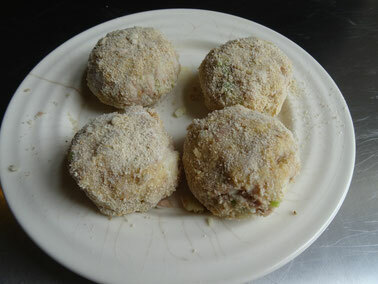 Dust each cake with a little flour then dip in the egg & finally coat with the breadcrumbs. Place on a plate & chill them in the fridge for about 15 minutes. 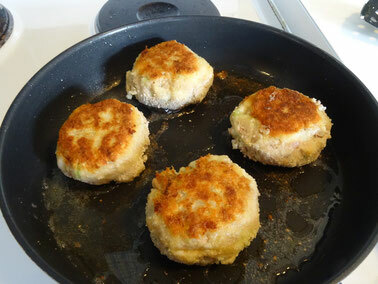 Heat some oil in a frying pan over a medium to high heat & cook the fishcakes for about 3-4 minutes each side until crisp & golden. 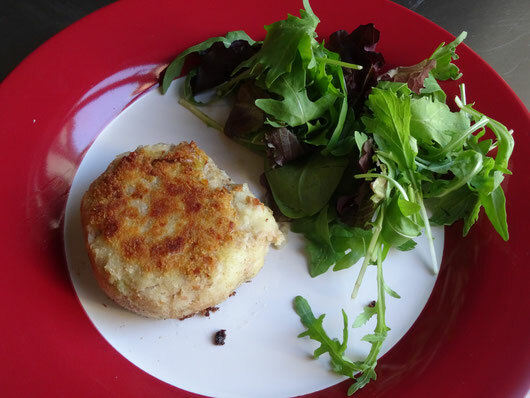 Serve with a nice crispy salad.